A New Indonesia Military Base Near the South China Sea? A new plan needs to be put into proper perspective. On July 10, media reports surfaced that the Indonesian government had announced a plan to construct a new military base to guard border areas near the South China Sea. While the plan is still in its early stages, it is important to keep in mind a few things about what it does and does not mean to avoid misunderstanding what Indonesia may be trying to accomplish. As it stands now, the plan is better read as part of Indonesian President Joko “Jokowi” Widodo’s increasing focus on safeguarding the country’s sovereignty as part of the country’s foreign policy rather than a new departure or hardening of Indonesia’s South China Sea position per se. While defending Indonesia’s borders is hardly a new goal, the Jokowi administration has made it one of its top foreign policy priorities. Indeed, in Indonesian Foreign Minister Retno Marsudi’s first annual policy statement in Jakarta in January, she indicated that protecting Indonesia’s sovereignty would be accomplished by responding firmly to any intrusions into Indonesian territory and by settling maritime borders (See: “The Trouble With Indonesia’s Foreign Policy Priorities Under Jokowi”). The Jokowi administration’s ‘sink the vessels’ policy within the global maritime fulcrum concept is yet another manifestation of this (See: “Explaining Indonesia’s ‘Sink the Vessels’ Policy Under Jokowi”). Given this background, it is not surprising that Indonesia would announce a plan to build more military posts in border areas to safeguard its territorial integrity. The focus on sovereignty and territorial integrity does include the South China Sea disputes, since, as I have written previously, China’s nine-dash line overlaps with Jakarta’s exclusive economic zone generated from the resource-rich Natuna Islands chain (See: “Natuna is Indonesian, Not Chinese: Jokowi Adviser”). But it is not limited only to the South China Sea issue. Indeed, if one examines the Indonesian media reports closely beyond the headlines, the plan as described by the head of Indonesia’s National Development Planning Board (Bappenas), Andrinof Chaniago, is to protect Indonesia’s territory in border areas more generally. Within this plan, the Natuna Islands is also only one of several potential base locations still under construction, along with Sambas, West Kalimantan; Tarakan, North Kalimantan; and the Riau Islands. These are not minor details. It gets to a point often missed: that China and the South China Sea are not the only sovereignty issues Indonesia needs to think about. Indeed, Defense Minister Ryamizard Ryacudu inadvertently underlined this point when he said that he welcomed the plan because he did not “want to see a Sipadan-Ligitan conflict occurring again under the current administration.” Sipadan and Ligitan are two small islands off the east coast of Kalimantan that were the subject of a decades-long dispute between Indonesia and Malaysia. Though Malaysia was eventually awarded the islands following an International Court of Justice decision in 2002, the two countries still have other outstanding disputes that they have yet to resolve. And it’s not just Malaysia – Indonesia has ten countries with which it needs to settle outstanding maritime boundary disputes. Furthermore, even if the base is partly aimed at shoring up Indonesia’s position in the South China Sea, it would reflect more continuity than change in Indonesia’s general position. As I have written previously, while Indonesia is not a claimant in the disputes, it is an interested party for several reasons, including the fact that China’s nine-dash line overlaps with Jakarta’s exclusive economic zone and undermines regional stability and international law (See: “No, Indonesia’s South China Sea Approach Has Not Changed”). Since the 1990s Indonesia has been using a careful mix of diplomatic, legal, and security measures to fashion a delicate approach to oppose China’s claims without officially recognizing (and thus legitimizing) them. Indonesia has also been helping facilitate confidence-building measures between claimant states while maintaining Jakarta’s own status as a non-claimant. Within this approach, the South China Sea – and the Natunas in particular – far from being a new concern has arguably been a central feature in Indonesia’s defense thinking since the 1990s. To take just one example, as early as 1996, Indonesia held what was then the largest ever tri-service military exercise based on a scenario in the Natunas. The Natunas have been included as one of the main flashpoints to watch since the 2000s as the Indonesian military (TNI) works towards achieving a Minimum Essential Force by 2024. 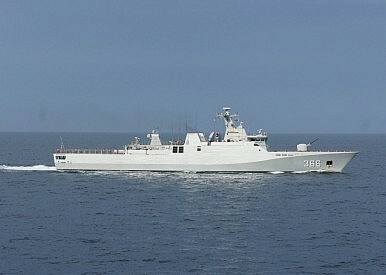 And as I have pointed out elsewhere, even before Jokowi came to power, while Indonesia’s overall South China Sea approach did not change, China’s assertiveness did prompt Indonesian military officials to be more outspoken about the issue and led to several announced shifts in capabilities, including the upgrading of airbase facilities in the Natuna Islands. Of course, Indonesia under Jokowi has continued to strengthen its capabilities to protect its interests in the South China Sea and has not shied away from signaling where it stands on sovereignty questions (See: “Why Did Indonesia Just Sink a Vessel From China?”). Existing military plans have also continued to incorporate the Natunas as a flashpoint. But the point to stress here is that seemingly new developments like a potential base may actually be more accurately portrayed as a continuation of previous efforts. Finally, lest we get too carried away, it is worth emphasizing that this plan is still very much in the works. As the Bappenas chief Andrinof Chaniago noted in the media reports, as of now he has proposed the establishment of a joint research team to carry out the plan. The team would have to then convey its findings to Jokowi, who will then make his decision, after which the plan would be realized sometime in the near future. Many specifics – including where exactly the base will be located – are still unclear. Even more reason, then, to be a bit more cautious before we start announcing new bases or ascribing this to some sort of hardening of Indonesia’s South China Sea posture. A New Indonesia Military Boost Near the South China Sea?